“We will have to repent in this generation not merely for the vitriolic words or actions of the bad people, but for the appalling silence of the good people. We must come to see that human progress never rolls in on wheels of inevitability. It comes through the tireless efforts and persistent work of men … and without this hard work time itself becomes an ally of the forces of social stagnation. We must use time creatively, and forever realize that the time is always ripe to do right.” Martin Luther King, Jr. Political, economic, and social differences inevitably create conflict, as do differences in ethnicity, gender, religion, personality, and style. What would it take to successfully mediate these conflicts? If time, money, laws, bureaucracy, expertise, and willingness to participate were not obstacles, what methods and programs might we employ to reduce the bloodshed and recover peace and social unity once the upheavals subside? What might the United Nations, national governments, or non-governmental organizations do to discourage evil, war, and terrorism before they begin? Over the last two decades, I have worked as a mediator and trainer in political disputes, not only in the U.S., but in the former Soviet Union, helping resolve conflicts between Ukrainians, Georgians, and Russians, and also between Armenians and Azerbaijanis. I have worked in Nicaragua, Pakistan, India, and Ireland, and participated in mediations and dialogues between Israelis and Palestinians, and between Mexican ranchers and indigenous forest dwellers. 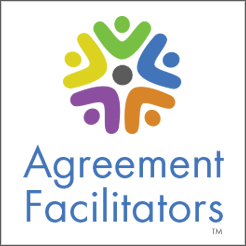 I have trained conflict resolution teams in Cuba, Puerto Rico, the Netherlands, Canada, and England, and studied conflict resolution and political disputes in China, Japan, Zimbabwe, Brazil, India, Spain, and Thailand. Through these experiences, I have learned that deeply entrenched political conflicts can be resolved, transformed, and transcended. To do so requires us to design culturally adaptable conflict resolution approaches that integrate prejudice reduction, group facilitation, public dialogue, collaborative negotiation, mediation, arbitration, community building, and similar technologies. Simultaneously, we need to form local intervention teams, develop indigenous conflict resolvers, increase local institutional conflict resolution capacity, and train trainers skilled in each of these strategies. For example, in the period prior to the breakup of the former Soviet Union, I worked with a volunteer group of Russians, Ukrainians, and Georgians, and a similar group of Armenians and Azerbaijanis, assisting them in becoming mediators and developing skills in a variety of conflict resolution techniques. By the end of this experience, they had created cross-cultural co-mediation teams committed to intervene during eruptions of ethnic hostility or violence between their communities, and train others in these techniques. Political conflicts are simultaneously public and private, intellectual and emotional, procedural and structural, preventive and reactive, relational and systemic. As a result of this complex, multi-layered character, resolution efforts are required that focus on encouraging local, collaborative initiatives and combining these elements, rather than importing or externally imposing generic solutions. To successfully develop conflict resolution capacity across cultures, I have found it best to adopt the collaborative, “elicitive,” democratic approach created by John Paul Lederach, which focuses on supplementing rather than replacing indigenous resolution strategies, while learning from and building on local conditions. In order to recover from severe political conflicts such as war and genocide, people in divided communities, including former combatants, need to develop the emotional skills to work through their rage and guilt and assuage their grief and loss; the communication skills to reduce bias and prejudice and engage in constructive dialogue; the heart skills to rebuild empathy and compassion and reach forgiveness and reconciliation; the organizing skills to develop interest-based, collaborative leadership and become productive, functional communities again; and the conflict resolution skills to design systems that successfully prevent and resolve future disputes. What is one thing someone said or did that you never, ever want to experience again? What is one thing someone said or did that gave you strength or courage, or helped you recover? What is one thing that needs to be done so what happened will never happen again? What is one thing you would be willing to do to make sure that happens? Reclaiming Pride: Participants state their names, the groups with which they identity, and why they are proud to belong to them, as in “I am a _____, _____, _____ and _____,” listing different sources of identity. What’s in a Name? Participants describe the origin and meaning of their names and how they came by them. Story-Telling: Participants find someone from a different group and tell a story about what it felt like to grow up as a member of their group. Assessing Group Identity: Participants discuss what they get by identifying with a group, and what they give in return. Personalizing Discrimination: In twos or dyads, participants describe a time when they felt disrespected or discriminated against for any reason, and compare experiences. Reframing Stereotypes: Participants in dyads describe the stereotypes and prejudices others have about their group while their partners write down key words, which they later compare and reframe as positives. Observing Discrimination: In dyads, participants describe a time when they witnessed discrimination against someone else. What did they do? What could they have done? What kept them from doing more? Owning Prejudice: Participants write down all the prejudicial statements they can think of, analyze and list their common elements, and read them out to the group. Overcoming Prejudice: In dyads, participants describe a personal prejudice or stereotype they had or have, and what they are doing to overcome it. Which Minority are You? Participants list all the ways in which they are a minority, report on the total number of ways, and discuss them. Explaining Prejudice: - Participants in self-same groups identify the prejudices and stereotypes other groups have of them, explain their culture, and answer questions others have about their group, but perhaps were afraid to ask. A Celebration of Differences: Participants are asked to stand and be applauded for their differences in age, family background, skills, and experiences. Communication and Miscommunication: Participants in self-same groups identify the communications and signals they or other groups don't understand. Mock Conflict: Participants demonstrate a typical cross-cultural conflict in a fishbowl while observers describe their reactions and volunteers attempt to mediate. Offensive Remarks: A volunteer starts making an offensive comment while observers coach another volunteer on how to respond. Observing Cultural Bias: As homework, participants collect examples of bias or prejudice from the media and share them. Social Change: Participants discuss what they can do to change prejudicial attitudes and behaviors among family, friends, and peers. Institutional Change: Participants discuss what organizations and institutions can do to counteract prejudice, and what they can do to encourage them to change. What I Will Do: Participants indicate one thing they learned or will do differently in the future. The fourth strategy is to develop skills in heart-based communication and conflict resolution techniques, and move the relationship between hostile parties toward forgiveness and reconciliation. For example, I may ask adversaries to say what they need to hear from each other in order for their conflict to be over, apologize for what they did or did not do to end it, identify why they can’t forgive and what it will cost them and their children to hold on to each reason, speak to each other from their hearts, or describe the wisdom or lessons they learned from their conflict. The fifth strategy consists of organizing and institutionalizing these skills so that future conflicts can be resolved without coercion or violence. For example, I may create conflict audit teams to identify the systemic sources of conflict in specific institutions. These teams may then join local conflict resolvers to work with popular organizations, government ministries, and political parties to design programs that provide a broad array of conflict resolution alternatives and strategically integrate them across political, economic, and social lines. By implementing these steps and modifying them to fit each situation, we can substantially reduce the destructiveness of evil, war, and terrorism and create a platform on which deeper social and political changes might take place. By comparison with the long-term costs of war and terrorism, the most ambitious program imaginable would be inexpensive and well worth undertaking. 8. Establish common points of reference or values by asking each side to indicate their goals for the relationship or the process. It is clear that, as a profession, we have the knowledge, skill, and experience needed to begin thinking and talking about how we might pool our resources and act in groups to intervene in trouble spots, even in small ways. Within our ranks, we have considerable experience working in other countries and cultures, building mediation centers in hostile communities, and training people in mediation techniques. While we have done so largely as individuals, we have reached a level of maturity as a profession that allows us to now consider how we might do so as a group. While parachuting mediators into war zones may not be realistic, having separate groups of mediators dedicated to working a few weeks a year for several years with opposing sides is quite possible. 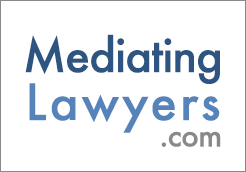 It is likely that members of mediation organizations would be willing to see part of their dues dedicated to such purposes. Grants could be obtained from foundations and donations from individuals. Costs could be controlled, and would in any case not be excessive. In other words, all that is lacking is our resolve and a practical way to begin. The most effective international projects, in my experience, are those that extend over decades, with people returning year after year to follow up, learn what works and what doesn’t, and provide fresh information, technique, and advice as circumstances evolve and change. It will undoubtedly take considerable effort and commitment to design and implement such a project; yet because conflict has no border, nor does compassion, nor our capacity to make a difference, we can only choose whether we will be distant, helpless victims of what we regard as other people’s tragedies, or active participants in resolving disputes in our own family, regardless of where they may occur. Instead of violations of human rights, there will be restoration of the moral order and respect for the rule of law. Let’s make it happen, starting with us.